EATON FARM (Indian Hills Farm) was owned by Lee Eaton, who had a racing and breeding partnership with Marvin Waldman and Sam Lyman called Red Bull Stables. 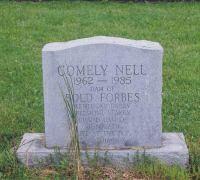 In 1963 they purchased a culled yearling, COMELY NELL, out of Kentucky Oaks winner Nellie L., from Calumet Farm, blind in one eye and never raced. Bred to Double Jay, Ambiorix, To Market and other good sires, she produced some winners, but no stakes winners, until she was bred to a low-priced stallion, speedster Irish Castle. The resulting colt, Bold Forbes, sold as a yearling for $15.200, was a speedy winner of the Wood Memorial, Kentucky Derby, Belmont Stakes and other good races. 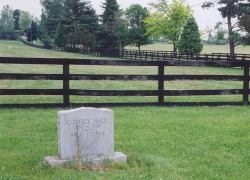 Comely Nell was also the dam of Priceless Fame, a sister to Bold Forbes and dam of William Hill Futurity winner Dunbeath and the three million dollar yearling Saratoga Six, a top juvenile stakes winner and later a good broodmare sire.--P.E.